ONLINE TICKETING TO THIS EVENT HAS NOW CLOSED. For more info please contact the event organiser. It’s a Cider Festival so you don’t want to worry about driving. Take a Festival Bus instead. $15 each way with buses leaving throughout the day. Bookings close 5pm Wednesday, 16 May 2018. 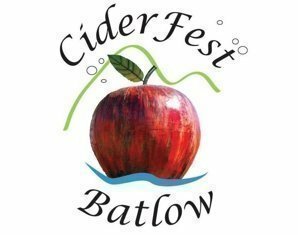 Further information is on the Batlow CiderFest website. Please ensure you arrive 15 mins before the scheduled departure time to avoid missing your bus transfer. 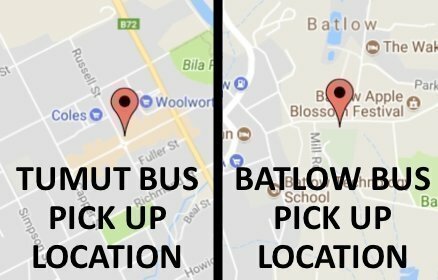 Return bus travellers must have 2 tickets: 1 departing Tumut and 1 departing Batlow.